Abstract: The Blatné Depression located in the NW part of the Danube Basin represents the northernmost sub-basins of the Pannonian Basin System. 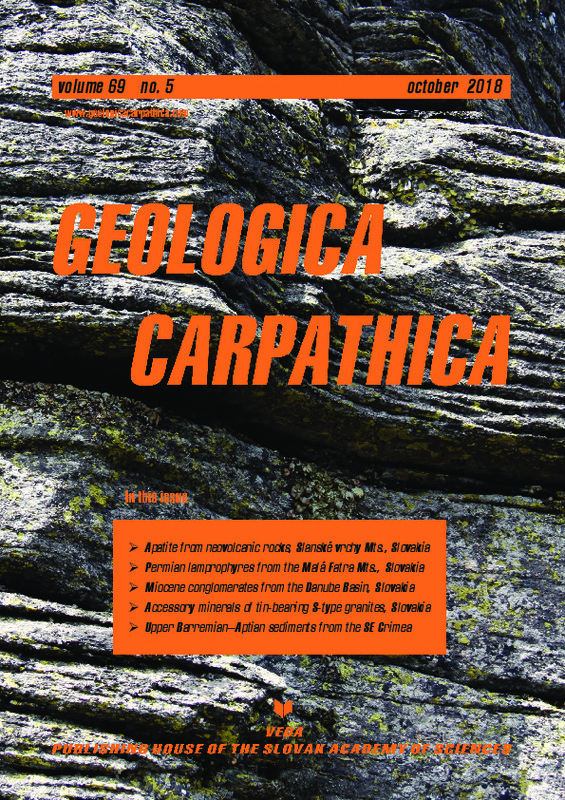 Its subsidence is associated with oblique collision of the Central Western Carpathians with the European platform, followed by the back-arc basin rifting stage in the Pannonian domain. The conglomerates recognized in the Cífer-2 well document the latest Burdigalian–early Langhian deposition in fan delta lobes situated above the footwall and hanging wall of a WSW–ENE trending fault system, the activity of which preceded the opening of the late Langhian–Serravallian accommodation space with a NE–SW direction. The provenance area of the “Cífer conglomerate” was linked to the Tatric Super-unit complexes. Similar rocks crop out in the southern part of the Malé Karpaty Mts. and are also present in the pre-Cenozoic basement of the Danube Basin. Documented extensive erosion of the crystalline basement and its sedimentary cover lasted until the early/middle Miocene boundary. The “Cífer conglomerate” has distinct clast composition. The basal part consists of poorly sorted conglomerate with sub-angular clasts of metamorphic rocks. Toward the overlying strata, the clasts consist of poorly sorted conglomerates with sub-rounded to well-rounded carbonates and granitoids. The uppermost part consists of poorly sorted conglomerates with sub-rounded to rounded clasts of carbonate, granitoid and metamorphic rock. Within the studied samples a transition from clast to matrix supported conglomerates was observed.